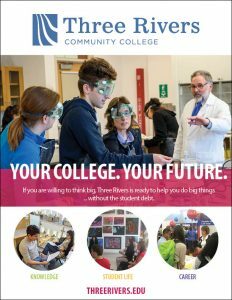 Three Rivers Community College is a commuter college that serves Southeastern Connecticut and eastern regions of the state with a variety of credit and non-credit degree and certificate programs designed to meet the dynamic needs of our learning community. The college’s core hours of operation are Monday through Friday, 8:30 – 5:00 PM. Three Rivers was formed in 1992 as a result of a mandate enacted by the Connecticut General Assembly which merged community and technical colleges in five geographic areas around Connecticut. Named in recognition of the region’s three primary rivers– the Shetucket, the Yantic and the Thames, Three Rivers Community College, now at a single location, was formed from the merger of Mohegan Community College and Thames Valley State Technical College. In addition to the main campus at 574 New London Turnpike, the college also has an off-campus instructional center located at the Naval Submarine Base in Groton. 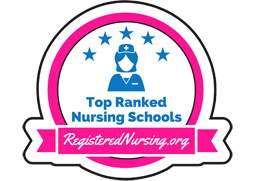 Our student population consisting of more than 5,000 enrolled students each semester and 2,500 Continuing Education students each year continues to grow. Through the integration of technical, career, and liberal arts programs within the college, Three Rivers’ students are able to move with greater ease from one program to another. In 2003, the Connecticut State Legislature formally announced and approved $75 million for the renovation and consolidation of Three Rivers Community College at the Thames Valley campus. The college has undergone major changes over the past few years which allow it to fulfill better its mission of providing affordable and accessible educational opportunities that meet the diverse educational needs of our community.